I explained, as I always do, that I can’t discuss her case. I also told her that I treat everybody’s kid as though she is my kid. Once I got my tray and sat down, I prayed for her granddaughter. I pray a lot for the people I see. I want her to live. Ohio Issue 1 on the Nov. 6 ballot takes away my ability to keep her granddaughter alive. If it passes, I lose the ability to hold her in jail long enough to find her a rehab. If it passes, when she is caught with fentanyl, the police have to give her a ticket and wish her good luck. They cannot arrest her. They have to leave her there — probably to use again, and probably to die. Issue 1 locks that into our Constitution. The legislature can’t change it. Nobody will ever be allowed to be jailed for possessing fentanyl, carfentanil, meth, cocaine, or anything else. Your local drug dealer will be able to have a whole mason jar full of Percocet, and when he’s caught the police will only take his jar, give him a ticket, and let him go. Ohio allows the people to amend the Constitution directly, without the General Assembly. Most of the time, the reason people try to amend the Ohio Constitution is because they have an idea that the General Assembly won’t approve. Most of the time the reason they won’t approve it is because it is an incomplete idea, or just a bad one. I almost always vote “no” because I believe new laws should be carefully thought through, and should only be passed after a thorough and public discussion. You don’t get that this way. You just get 30-second commercials telling you almost nothing about the issue. That’s a bad way to make a big decision. I voted “no” this time too. I did that because I want to save the lives of people whose minds have been poisoned by drugs. I voted “no” because suddenly emptying the jails and prisons will flood our community with addicted people who will almost certainly die. I voted “no” because if possession of drugs in Ohio cannot result in jail, then we will instantly attract all the major users, dealers, and cartels to set up shop here. Should we treat addiction as a medical problem? Absolutely! Should we attempt creative treatment-based alternatives to jail? Absolutely. Issue 1 closes our entire system without offering any alternative. Issue 1 releases these people with a serious health problem, plunges them into a society without any controls, and offers no way to be treated. Issue 1 sentences them to die. I already voted. I can’t change my vote. I wouldn’t change it if I could. I urge every person who reads this article to vote early, and to vote “no” on Ohio Issue 1. 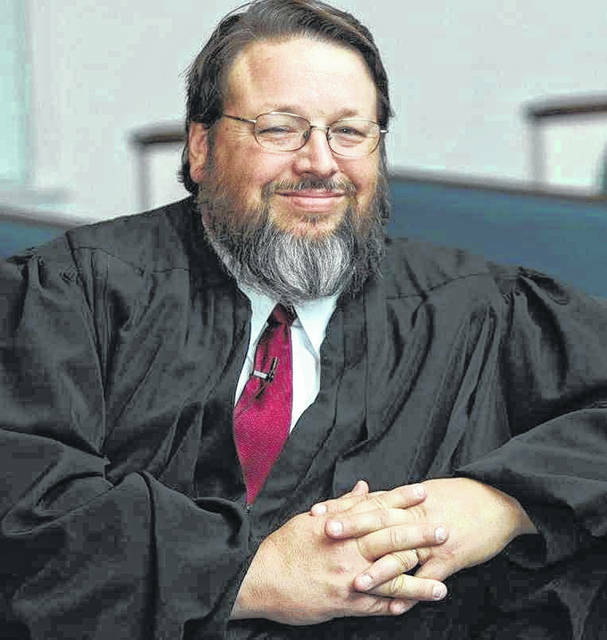 Mike Daugherty is Judge of the Clinton County Municipal Court.